Skype has announced the latest update to its video-calling service, Skype 5.8, which offers up Full HD video calling and even more interaction with Facebook. There haven't been many webcams that have gone Full HD but in a blog post Skype notes that the Logitech C920, which does all of its encoding inside the camera, is a good fit for this hi-def loving update. "Now you can make crystal clear video-calls with your loved ones or business contacts by utilising the latest technology for Skype and Logitech, which is incorporated into the latest update to Skype for Windows and the Logitech C920 webcam," explained the blog. We are guessing you can also call people you hate in crystal clear Full HD as well, but we'll have to get in touch with Skype to confirm this. The other significant addition to Skype is that you can now call your Facebook friends straight from the Skype application. This is in beta at the moment, but it does offer both audio and video calling. The list of changes is a little bit 'meh' from here on in, with Bing toolbar integration, a push to Talk option in Skype hotkeys and also a Skype Updater. That's right, this update brings with it a way to update Skype. 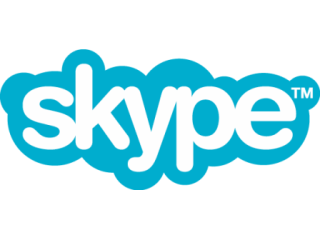 Head over to Skype now to get the latest version of the video-calling service.